Nobody knows Car Air like Kar Air! 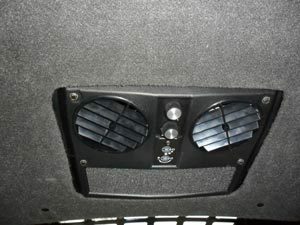 Established in 1988 Kar Air has specialised in Car Air Conditioning for nearly 3 decades. We handle all vehicle makes of Cars, Vans, 4wds, Trucks, Buses and Earthmoving Equipment. Kar Air is the go to destination for fast, efficient, friendly service at a competitive price and we back up every job with a comprehensive warranty. Is your Car Air Conditioning cooling 100%? Your Car Air Conditioning system is under pressure and will leak gas slowly over time due to hose permeation, spinning shaft seal, o/ring connections or component leakage. This leak rate is approximately 10% per year and increases with the age of the vehicle. The refrigerant gas becomes low thus your car air conditioning will not cool as it did and will need Re-gassing. The correct refrigerant and gas level is critical to system performance, so bring it to the specialists at Kar Air to ensure the system is fully inspected, degassed, and evacuated then recharged to the manufacturer’s specifications. We then check components for wear and fully leak and performance test the system. This full car air conditioning service is $132 on the most common cars & 4wds. Diagnosis is extremely important in determining whether a vehicle just requires Servicing or additional repairs are required. If your system is extremely low or has no gas. A full pressure/leak test is required to pinpoint any leaks and check system operation. This entails connecting gauges, leak testing (including Nitrogen testing if no gas). We also test compressor and system operation, then give you an accurate quote on the repair. This comprehensive test and report is just $33 and will give you peace of mind that the problem can be fixed properly without the guess work and at a competitive price. Call Kar Air your one stop air conditioning shop!